This brilliant Starter Kit is a perfect starting point to get you up and running with your RPI Zero so you can get Playing / Making/ Prototyping etc ASAP. The BBC micro:bit is a pocket-sized codeable computer with motion detection, a built-in compass, LED display, and Bluetooth technology built in. The Raspberry Pi 3 model B+ Media Kit is all the hardware you need to get your media dreams up and running. The Raspberry Pi 3 model B+ Touch Kit is all the hardware you need to get your media dreams up and running with the official 7 inch touch screen and case. 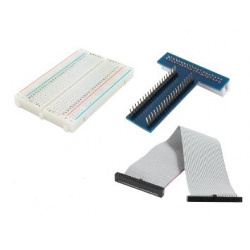 This useful kit can be used for your electronic projects or repairs. Please note we now include the far superior official Raspberry Pi 2.5A Power Supply. All adapters are now black in colour to match the power supply. Each element is completely programmable via easy-to-use software on a dedicated website that can be accessed from a PC, tablet or mobile. Five Ring Input and Output (I/O) including power (PWR), ground (GRD) and 3 x I/O. This brilliant Starter Kit is a perfect starting point to get you up and running with your RPI Zero Wireless so you can get Playing / Making/ Prototyping etc ASAP. 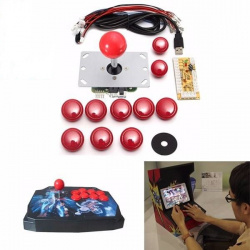 These kits are perfect for beginners that are just getting exposed to the Raspberry Pi, Media enthusiasts looking to stream online content with Kodi, developers looking to exploit the many advantages of the RPI's GPIO pins and anybody looking to get some cool goodies at a great price! They contain all of the essential hardware that you need to get up and running in no time. A 16 GB Sandisk Micro SD card with the latest version of NOOBS pre-installed. Just Select LibreEelec on start up and wait for KODI to install directly from the micro SD card OR select Raspbian to create your own Debian desktop for your other projects. The superior Official OSMC Media Remote to easily control KODI with battery included. Plug and play. RF design means no line of sight issues. Loads of addons available for KODI. Do a Google search for "best kodi addons"
Retropie, Lakka and Recalbox - retro gaming for the RPi. The White T16 wireless mini keyboard with trackpad to make searching much easier. Monitor and control every aspect of your 3D printer from your web browser. Upload your Gcode files, stop and start prints, and even control the bed for manual leveling. Access the embedded webcam feed and watch remotely how your printer is creating your newest thing. Get constant feedback regarding the current progress of your print job. Take a look at the integrated GCODE visualizer to see a rendition of the GCODE you are currently printing. Keep an eye on the temperatures of your hotends and print bed and adapt them on the fly. Move the print head along all axes, extrude, retract or just define your own custom controls. We have provided a Hobbywing 5V 3A UBEC Step-Down Converter, this allows you to power your Raspberry Pi with no extra cables or plugs. Before inserting the SD Card into your Raspberry Pi you need to find the “octopi-network.txt“ file on the SD card from and computer of laptop. To add in your WiFi details open the file using a text editor, make sure you use a program such as Notepad++, Atom or VSCode as they don’t tend to mangle the file without first warning you. Avoid editing the file with other programs such as WordPad (Windows) or TextEdit (Mac OSX) as they will enforce their encodings on the file making it fail to work. # wpa-ssid "put SSID here"
# wpa-psk "put password here"
That's it, now you can save your changes and insert the card into your pi. You can insert the SD Card into your Raspberry Pi with a monitor, keyboard and a mouse and set you wifi up manually as seen here. If you will be using a LAN connection, this will not be necessary. 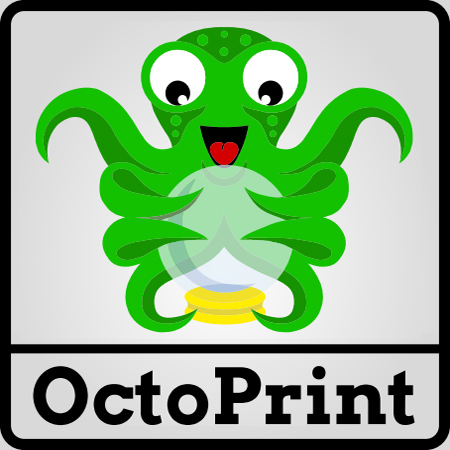 Cura plugin for octopi: The plugin is distributed via the "Toolbox" in Cura 3.4, or "Marketplace" in Cura 3.6. 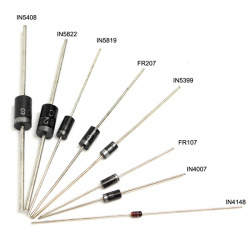 2 pin through hole rectifier diodes used for electronic projects, hobbies and repairs. Used in radios, power supplies and other devices. Note: Because they are packed manually it is possible to have inconsistencies. 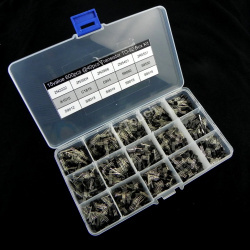 This is a huge collection of useful heat shrink tubing, 8 sizes, 5 colours, 328 pieces in total. Color : Black, Red, Yellow, Blue, Green.